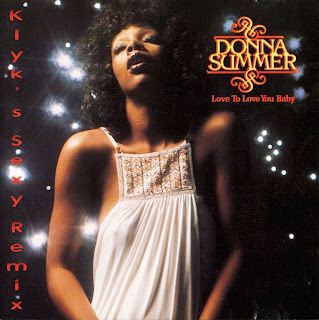 Donna Summer's Love To Love You Baby was an innovation in disco music back in 1975, from the breathy vocals, to the very suggestive lyrics, this song took the world by storm and made Donna Summer a Superstar. The teaming of Donna with Giorgio Moroder & Pete Bellotte was a winning combination for the rest of the 'Disco' era, notching up hit after hit with the fusion of beatiful vocals and lush, driving arrangements. Here is my take on this particular song, hope you like what I did with it. Donna already was a star in europe, and the was her 2nd Lp. Her first big hit was called 'the prisoner' over a year before. I like this mix... wonderful rhythm...and piano. Pleasant to sit with weed and to listen relaxed... and good for dance. Thanx!